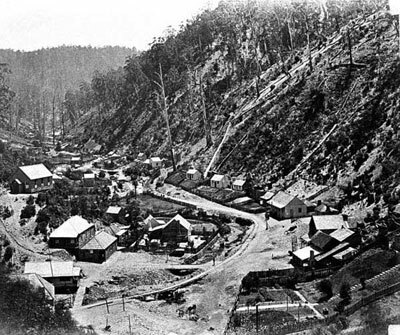 In the late 1860s and ’70s Melbourne was expanding rapidly. 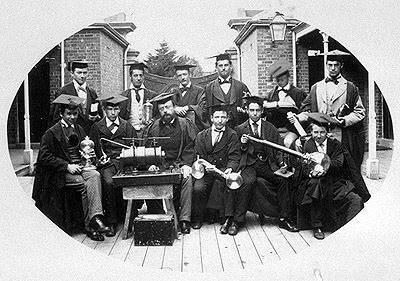 In 1868 the first Great Telescope worthy of great astronomic significance finally reached Melbourne, and in 1870 and 1871 respectively, the Industrial and Technological Museum opened at the rear of the Public Library in Swanston Street, and the School of Mines opened. In 1872 Melbourne received its first cable message from London via a combination of undersea cable link and overland telegraph, a mighty feat for the times. William Noyce Kernot, set to hold the first Engineering Chair, joined the Faculty as a part-time lecturer in 1868. By 1875, the income from his university work was sufficient for him to leave the public service, and he became the Faculty’s first full-time lecturer in Civil Engineering. Kernot had strong beliefs, saying that Theory without practice is the foundation without the superstructure. Practice without theory is the superstructure without the foundation. The former is useless; the latter is dangerous. Kernot aimed to raise the status of engineering to disciplines similar to law or medicine, whilst improving the quality of engineering practice within the community. Kernot was a generous man, and deeply appreciated by his students. Many reported of his willingness to share his own extensive private workshop; his generous donations of his own private funds to support the Engineering Faculty and students (including hiring additional lecturers that he paid out of his own pay); and his willingness to spend his time teaching others above and beyond the call of duty. 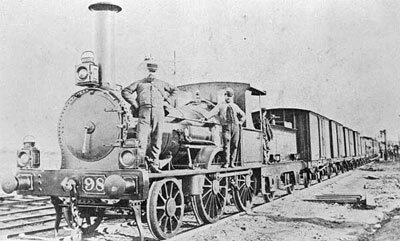 During this time, engineering feats brought about an increase in productivity, ease and income for Victorian residents. It was therefore unsurprising that when proprietors of the Argus (Melbourne’s newspaper) offered the University £1000 to establish a scholarship in 1870, the University gave it to Mining Engineering. The scholarship, worth £45 per year, was joined by The Stawell Exhibition in Engineering (worth £30 for two years), and a prize for Surveying (provided by Kernot himself). In this era, with labourers receiving an weekly wage of 10s., £30 was the equivalent of one year’s salary. However while there were advances in the public recognition of the value of engineering, the Faculty’s two certificates still went unrecognised. In 1872 the University Council attempted to rectify this. Unlike Britain, Europe and America, in Victoria most engineering works of any magnitude were carried out by the government, and the University Council asked the Government to offer students twelve months’ employment as an adjunct to their studies. The Government agreed, and from this time forward, the Certificate of Engineer required evidence of twelve months’ engagement in an engineering work under the supervision of a Mining Manager or Civil Engineer. By 1873, 11 students had passed all of their subjects, and by 1874, Professor Wilson, one of founding four professors of the university, who taught mathematics and natural philosophy, died at age 48. When James Griffith, another lecturer in engineering also left the university, Henry Andrew, just 19 years old, took over his classes as a lecturer in Civil Engineering.